In Mosul, ISIS fighters have dressed up as women to flee the city but were caught by Iraqi authorities. 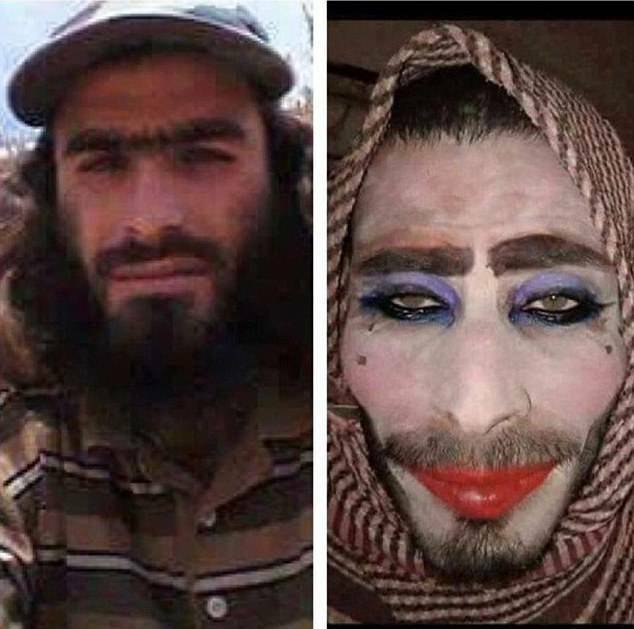 A pathetic image has surfaced in which an ISIS fighter is seen wearing woman clothes but forget to shave his beard and moustache. He caked his face with makeup (red lipstick, mascara and purple eyeshadow) but failed to implement his escape plan. 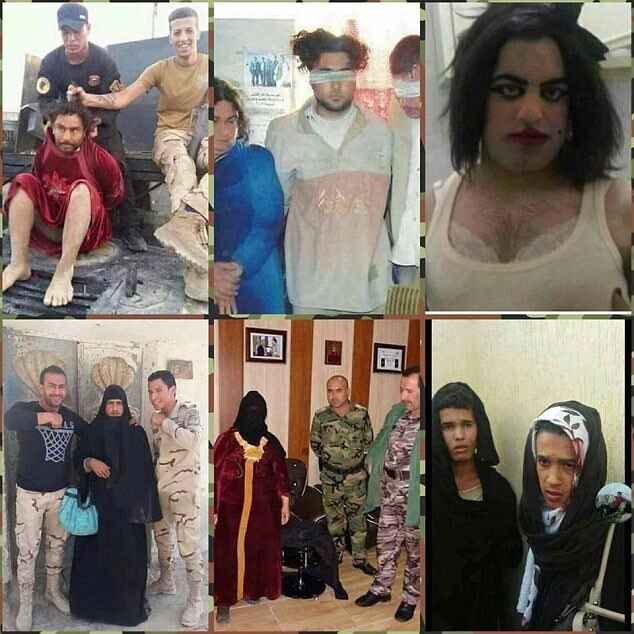 Other pictures released by Iraqi forces show the men in bras and many unsuccessful attempts by ISIS fighters at dressing up as women. Life in Mosul was miserable under Islamic state, the city was seized by ISIS in 2014.